Ca’ Roman is a naturalistic jewel located between Venice Lagoon and Adriatic Sea, it is one of the few coastal lines in the north Adriatic which remained almost unchanged, a natural beach. In this oasis there is a variety of coastal species and survive typical important dune habitats of previous centuries north Adriatic environments, as well as south Italy species, since Ca’ Roman is a Mediterranean oasis despite the continental climatic context that we can find a few kilometres far in the hinterland. In 1911, after the breakwater dyke building, the original morphology of the area (a thin and long sandy land) was subjected to an intense change. The dyke, indeed, intercepting the sandy sediments brought by sea flowing, caused a fast shore advancement. This process is still going on nowadays, revealing, on the last 4 years, a shore advancement of around 11 metres. In 2003, the building of MOSE project started. This project intended to protect the town of Venice and the Venetian Lagoon from flooding. In Ca’ Roman, the building of complementary works (navigation dip, harbour and embankment) involved the ruin of more than three hectares of European Community protected habitat. Because of its naturalistic value, Ca’ Roman is a Site of Community Importance (SIC) and Special Protected Zone (ZPS). There are nearly 200 birds’ species recorded in this lagoon spot: from the kingfisher and the Mediterranean gull, which stay permanently on the island, to the bee-eater that stays on summer only, from the winter-like sparrow hawk to the rare Kentish plover and the little tern. Lipu takes care of the naturalistic protected oasis and Ca’ Roman naturalistic reserve thanks to an agreement with Venice municipality in cooperation with the Regional Forestry Corps and the Metropolitan City of Venice. 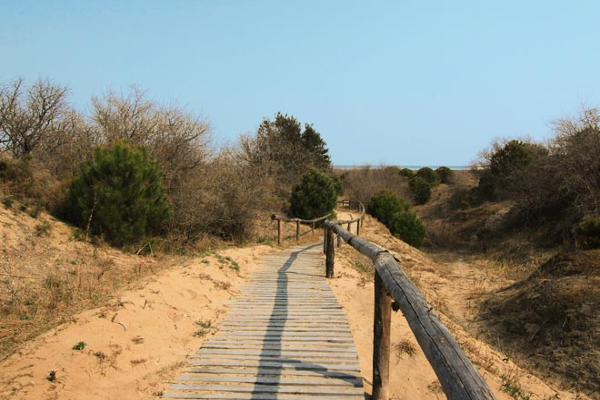 Ca’ Roman naturalistic reserve and oasis are always open and accessible and can be reached by foot from Pellestrina (along the Murazzo) or by boat (line 11 ACTV, from Lido-Pellestrina or Chioggia). For a better understanding of the less known peculiarities of dune environment, knowing of the animal species that live there (often elusive and not easy to be seen) and appreciating of the flora richness, we suggest to contact Lipu for guided tours (available all year long!). Please, do not dock the ship on the lagoon side from March to July, do not disturb the nest building of important species such as the oystercatcher. Keep dogs leashed inside the reserve: some rare and delicate birds, which build the nest on the ground, such as the nightjar, could leave the brooding if disturbed by the dogs’ presence. The same for people who venture outside the path, between dunes or into the pine grove! Furthermore, the particular moss and lichen ground that constitute the habitat, here and in some other places in the world only, are really delicate and easy to be damaged by simply walking. Follow the path!